The startups in Australia need more variety and options in terms of foreign skilled workforce as per the StartupAUS Crossroads Report. 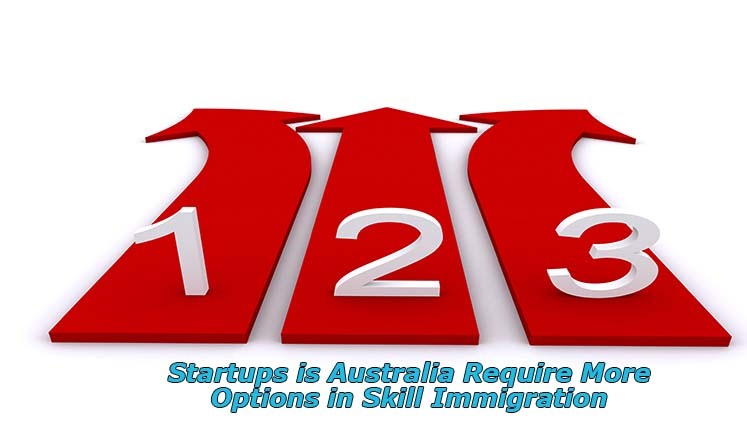 The decision of tougeher restrictions on 457 visa programs doesn’t seem to have gone well with the startups in the country. It is interesting to note that about 60 percent of the leading startups in Australia are either founded by immigrants or their family members. Recently, a few key changes have been made to the 457 visa program. The 457 Visa allows the foreign skilled workers to live and work in Australia for up to 4 years, once they have been sponsored by an approved Australian employer. The key change includes reduction of stay period in Australia to 60 days from 90 days, after the end of employment under 457 Visa Program. As per Immigration Minister of Australia, Peter Dutton, the step has been taken to reduce competition from overseas skilled workers, for those Australian workers, who are desperately in search of job or employment opportunity. A few intellectuals see the whole proceedings as the impact of the wave against immigration in US post recent presidential elections, which is also a sign of the emergence of strong right wing in most of the advanced nations. If there is an Australian worker available and willing to get employed in a particular position, he/she would be given the priority, as per the government policy, said Dutton. As per the Crossroads report, Australia needs more sincerity and flexibility when it come to immigration of Skilled IT professionals. Moreover, the report also recommends the promotion and enhancement of the Entrepreneur Visa. For now, it is allowed for the founders with minimum AUD $200,000 in third party funding for the plan. The other key thing it recommends is easing the restrictions on 457 Visas for startup ventures. Report claims that Australia has the potential to become a top global IT player, however, the management challenges in acquiring 457 Visas for the skilled IT professionals are hindering the efforts of the Australian tech organizations. Looking at the relatively new Australian tech system, people with startup experience beyond ten years needs to be invited from overseas. As per the StartupAUS, people with STEM and Entrepreneurial skills are significantly needed in Australia. Need Assistance to Apply for 457 Visa or PR visa in Australia? If you seek assistance and support form an Australian migration expert, you can get in touch with Visas Avenue. The Visas Avenue is the top Australia Immigration Consultancy Service with a team of certified immigration professionals. If you contact Visas Avenue, you will get through support in Australia immigration process from start till end. To confirm your eligibility and start the process, you may speak to the Visas Avenue expert at 011-48447777, 011-46194650 (Delhi), 040-42467777 (Hyderabad), or 080-46668222 (Bangalore). Alternatively, you can email your immigration associated queries to the immigration expert at email id- info@visasavenue.com.